A stellar East Bay dance season is waiting in the wings. Along with venues that draw dance talent from around the globe, the East Bay boasts world-class choreographers and dancers (who are sometimes better known on other continents than in their own neighborhoods). Whether your taste runs to the classical, the contemporary, or the avant-garde, the 2010-11 season offers something to satisfy your appetite. And with so many shows, festivals, and special events to choose from, it’s easy to fill your dance card. Sometimes dance is the least important part of a dance performance. For the kids who performed in Berkeley/Oakland AileyCamp’s season finale at Zellerbach Hall, dance, to paraphrase Robert Louis Stephenson, was about being what they are and becoming what they are capable of becoming. “I Been ’Buked,” an excerpt from Alvin Ailey’s Revelations, opened the show. The kids stretched their arms skyward, leaned and pliéd, evoking the quiet intensity of the original in their own sincerely felt, imperfectly synchronized way. But technique and precision were unimportant on this night: developing the discipline to put the show together, and allowing themselves to perform from the heart, is the essence of the performance, and of AileyCamp. Fifty students ages 11 to 14 attended this year’s camp. 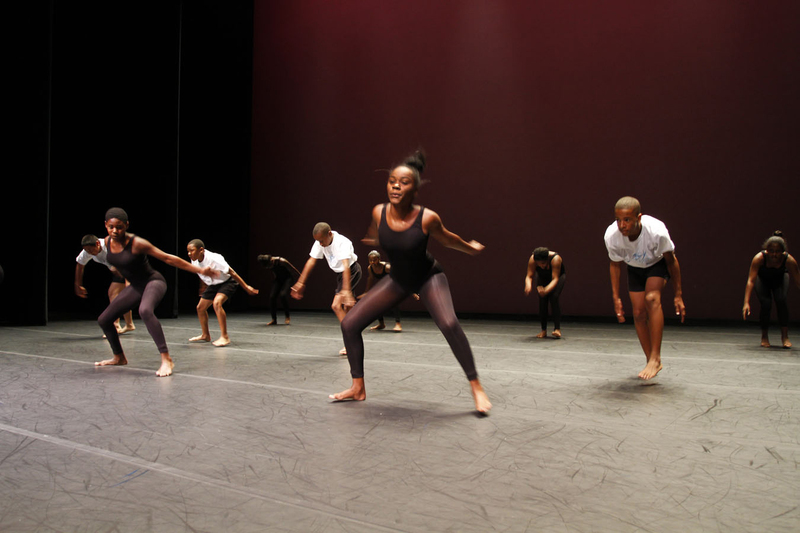 For six weeks, they took daily master classes in modern, ballet, jazz, and African dance and participated in daily workshops on personal development and conflict resolution. 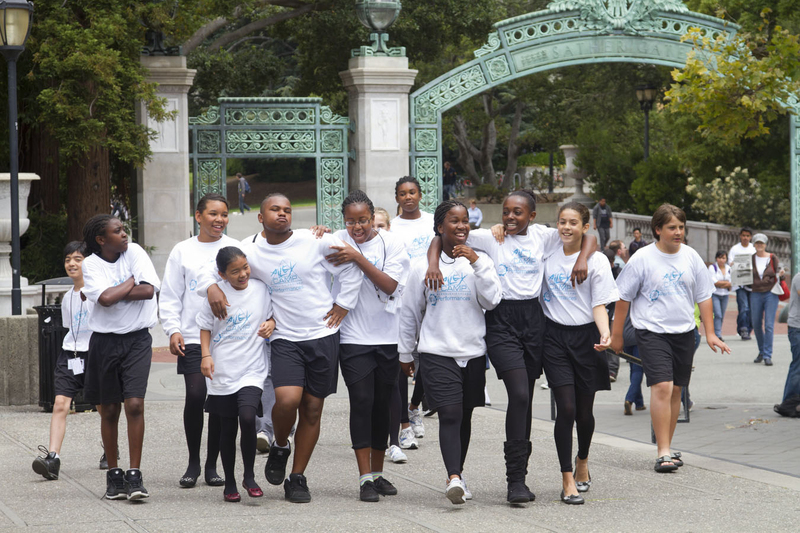 Many of the kids come from families with straitened finances, and camp is free to all, down to dancewear, breakfast and lunch, backpacks and transportation to and from Zellerbach Hall. 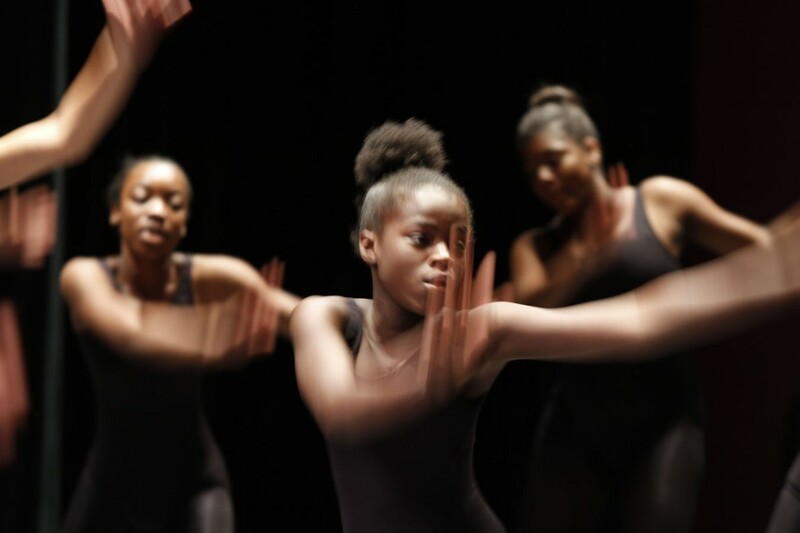 More than a place for young dancers to have fun all summer, AileyCamp is also an intervention for at-risk youth, and no dance experience is required. Some of the kids come from intact families while others live in foster homes. Camp is the first experience many of them have with consistent, reassuring guidance—and firm boundaries. Most of the campers grudgingly took ballet class, and in interviews they consistently complained about having to point their toes. But their comedic ballet, “Alley Ensemble,” was a hit with the audience, especially when the magician character used a giant rubber ball to knock down the white-clad ballerinas like bowling balls. After the dark, moody “Chosen Voices,” which combined martial-arts moves and modern dance, some of the girls segued into a Gullah stick-pounding sequence, and the boys, shirtless and draped in bright sarongs, stomped and chanted through a chest-pounding Maori haka. One had to think the kids were getting mighty tired by this point, but they were about to take things to a whole new level. Thrumming hypnotically on his djembe drum, Madiou Sao Diouf led a group of five musicians in a brief intro as kids in brilliant African clothing and headdresses ran in from the wings. Suddenly Zellerbach Hall exploded with color, movement and sound. The dancers leaped and kicked and threw themselves into traditional dances of Ivory Coast (Bolowee), Guinea (Liberté) and Senegal (Mandiani) while the band pounded furiously behind them. It’s easy to think that kids today are only into hip-hop…but I’ve never seen hip-hop danced with more focus and passion than these kids unleashed. Channeled through those ancient steps, their energy could have powered the Berkeley campus for a week. The standing ovation went on for minutes, and the kids sparkled with pride. Surely much of the credit for that wondrous performance belongs to Naomi Gedo Diouf, artistic director of Diamano Coura West African Dance Company and AileyCamp’s African dance teacher. The kids call her Mama. After the African showstopper, the Ailey-tribute final was practically an afterthought, but quite a nice one. Three girls reinterpreted Judith Jamison’s classic Cry as a sweet trio. An ensemble re-created “Wade in the Water,” another excerpt from Revelations, down to the swaths of fabric waving over the floor like a purifying river. And the entire camp came together to finish the show with the somber Hymn, which finished with McCauley and all the camp staff joining in the final steps. Only the most cynical eyes were dry at this point. AileyCamp can accommodate up to 80 students, but budget constraints limited this year’s camp to 50. If you or your company would like to support the program, please contact Cal Performances at donate@calperfs.berkeley.edu. Check out Dane Shitagi’s Ballerina Project, stunning images of ballerinas in the rain, on the beach, on city streets and more. Fresh, inventive and inspiring! Sneak a peek at AXIS Dance Company’s latest work, “ODD,” choreographed by Shinichi Iova-Koga/inkBoat and performed with guest dancers from inkBoat, at the company’s August 26 open rehearsal and fund-raising reception. 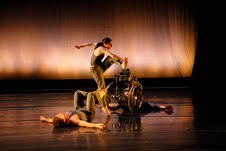 Meet the artists and bid on an array of good stuff like jewelry, art, theater tickets and much more (preview the auction items)—proceeds support AXIS’s award-winning integrated dance and classes for dancers of all abilities. Thursday, August 26th, 6:30 p.m. – 9 p.m.
It’s easy to get there by BART, and there’s ample street parking. Click here for directions. Upper photo courtesy of Andy Moog, 2003. Few choreographers can create plotless contemporary dance that engages the audience with movement and music alone; all too often, dancing for its own sake devolves into moody self-indulgence. 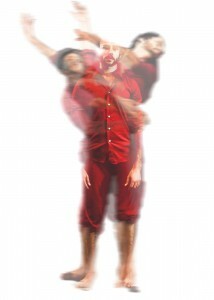 More unusual is a young choreographer with the maturity and self-discipline to create sophisticated work that means something to him personally, yet is accessible and entertaining to viewers who have no knowledge of his inspiration. That’s why Robert Dekkers and his new company, Post:Ballet, are much-needed in the Bay Area dance scene. Just 25 years old, the Atlanta Ballet–trained Dekkers is a veteran of Ballet Arizona, ODC/Dance and Company C Contemporary Ballet, and already has nine years of critically acclaimed choreography to his name. His promise was evident during Concert One, Post:Ballet’s two-night premiere at the Cowell Theatre. Milieu opened amid atmospheric lighting that drifted through smoke-machine fog. As Daniel Berkman played his original score live on the gravikord (an electric metal harp that sounds curiously like a mandolin crossed with a kettle drum) and digital effects, all seven company dancers unfurled from the floor, stretching and reaching upward like newborn creatures. Utilizing the full width and depth of the stage, they merged and separated, stopped and slowed, and tumbled back down to the floor, with one dancer or the other periodically spinning off in a dynamic solo only to rejoin the group for movement in unison. Alessandra Ball and David Ligon broke away into a pas de deux that beautifully contrasted force and release. Between the raw movement, the swampy lighting and the costuming (the women in pale-green leotards and the men in burnt-orange shorts), the effect was primordial. Milieu. Post:Ballet, Choreography of Robert Dekkers, Photography by Natalia Perez. The mood changed considerably with B-Sides, a pas de deux performed by Jared Hunt and Christian Squires to a plaintive, operatic vocal recording by indie darlings Grizzly Bear. Like a Calder mobile in an unreliable breeze, the men leaned on one another, rolled together on the floor, segued into backwards balances, then burst into pirouettes en attitude. Sensuous and physical but far from languorous, they seemed driven by an unspoken emotional conflict, as though there were unanswered questions between them. Minimal costumes (green shorts and blue shorts, respectively) only highlighted the intimate contact between Hunt’s groundedness and Squires’s chiseled youth. Beau Campbell, Ashley Flanner and Beth Kaczmarek took the stage for Flutter, which is divided into two halves by Steve Reich’s energetic clapping soundtrack and J.S. Bach’s mournful Partita for Solo Violin. 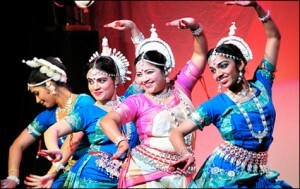 Dancing largely in unison and wearing dark-gray Grecian tunics over black shorts, they called to mind the Three Graces as they swooped from rondes de jambes on the floor to rhythmic turning accented by hand and arm inflections that hinted at Indian dance. Inventive bourrees—on bent legs, even on the knees—winked at classical ballet and added a fluttering effect. Dekkers says that Flutter is about society’s insistence on conformity, and though each dancer attempts to separate from the group, she is ultimately reeled back in. The entire company reconvened for The Happiness of Pursuit, a world-premiere collaboration between Dekkers and San Francisco composer Jacob Wolkenhauer, who performed the guitar-based score live with Joe Hickey. The soundtrack ranged from dynamic to moody, prompting movement that alternated between dropping and rolling and joyous leaping. The performers interwove in every possible combination, from full ensemble to solos—and was that a smile on Ligon’s face during his fleet-footed solo? It was a welcome ray of sunshine during an evening of intense dance. Ball donned the only pointe shoes of the night for a dynamic, beautifully synchronized pas de deux with Squires, though he seemed a bit overmatched by her height and momentum. Dekkers’s choice of music is superb: edgy enough to keep you listening, yet harmonious enough to make listening a pleasure. However, a bit more variety of vocabulary—whether in the steps, costuming or lighting—would add even more surprises and ensure lively pacing. In some pieces, particularly Milieu, a lack of unison lessened the impact. All of Dekkers’s dancers have classical ballet training, which was evident in their lines. Yet, unlike many ballet dancers, they can turn on the loose, down-to-the-ground movement required for contemporary work and Dekkers’s inventive interpretations. The women are especially well chosen; their similarity in proportions, strength and technique—even their hair is the same below-the-shoulders length—results in a visual consistency that pleases the eye and never distracts from the dance. The audience granted Post:Ballet a standing ovation, which is to be expected at a company’s debut, when the seats are filled with friends, family and other ringers. But the applause was well earned—a talented new voice deserves a warm welcome. Dekkers has faced down the challenge of starting a new dance company; now his task is to continue challenging his creativity. He is up to it.